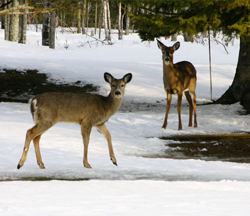 All Iron County snowmobile and ATV trails will be closed for the season effective Monday, March 18, 2019 at 8:00 am. Gates along the trails will be closed. 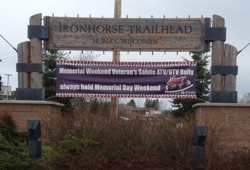 Come to Hurley for the LARGEST parade of ATV/UTVs you have seen. Ride the trails. Participate in the Poker Run and other events. Attempt the INFAMOUS Mud Pit. Poker Run begins Thursday, May 23 must be complete by 6:00 pm on Sunday, May 26. Mud Pit is Sunday, May 26. Email updates will be sent to those who register for the Poker Run. Each participant in the Poker Run will automatically be entered into a drawing for a $750 vacation package!!! We've got them in abundance. 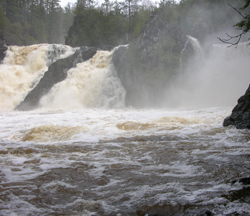 As our rivers race northward toward Lake Superior, more than 30 cascades surround the Hurley Area. 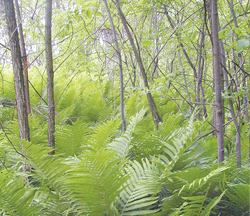 Miles and miles of back roads and trails meander throughout Northern Iron County's deep forests, so bring your compass, GPS and sense of adventure!! These routes are a spectacular way to experience nature and see wild areas unlike any other in the state. 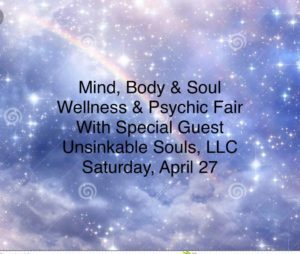 -Noon-4pm (Free Admission) Stop In & Visit Great Vendors Specializing In Mind , Body & Soul! AT 7PM OUR DOORS WILL CLOSE TO THE PUBLIC FOR AN EVENING OF MESSAGES FROM PASSED LOVED ONES WITH UNSINKABLE SOULS , LLC! THIS WILL BE THE 3rd TIME WE HAVE HOSTED THIS SHOW ! ADMISSION IS BY TICKET ONLY!! $40 PER PERSON! MUST BE PURCHASED IN ADVANCE! 50 PERSON MAXIMUM! 715-476-2204! REMEMBER 12-4pm IS FREE ADMISSION, 7pm YOU MUST HAVE A TICKET FOR! A program for better living. 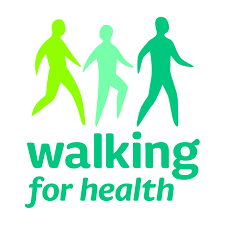 No matter if you need relief from arthritis pain or just want to be active, the Arthritis Foundation's six week Walk with Ease program can teach you how to safely make physical activity part of your everyday life. 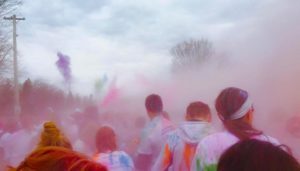 Enjoy a morning of fun activity while you support the DOVE, Inc 4th Annual Sexual Assault Awareness Color Run/ Walk around Sunday Lake. The run/ walk around Sunday Lake includes the fun of color in the air. Preregistration is $25 and due April 24, includes t-shirt, color packet and pancake breakfast. Day of registration is $30 -- no shirt. Children 10 & Under are FREE. 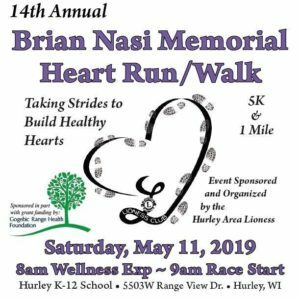 Pancake Breakfast included in registration for participants and open to the public by donation. Wear a tutu and be entered into a drawing to win a prize. Announcing a fun addition to this year’s race: a Group Costume Contest with a $100 cash prize!! Groups of 2 or more race participants qualify, so put those thinking caps on (and costumes together) and come on down to the Nasi for a chance to win some moola!! 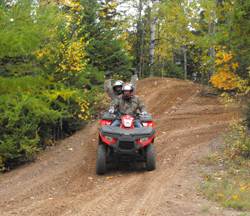 If you have been to Hurley for Memorial Day you know that the area is busy with ATV/ UTV riders enjoying the awesome trails. Make plans today to participate in the entire weekend of events which includes a parade, mud pit and Poker Run. Sign up for the Poker Run and visit local businesses for food / beverage specials. 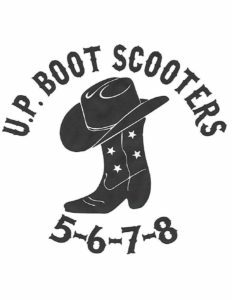 If you are participating in the poker run, be sure to get your sheet stamped. Complete the required amount of stops and draw your final hand. Best poker hand wins 50% of the pot, 2nd best = 30% and 3rd best = 20%.